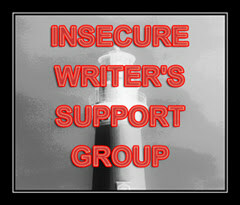 It’s the first Wednesday of the month and that means it’s time for another edition of the Insecure Writers Support Group. This month is a little different in that the insecurities and anxieties are a little more real this month. I have finally ventured into the world of publishing. An article of mine is about to be published in a local magazine. As a matter of fact, I believe the magazine is going to print today. I spoke last month about the fear of success being cause for writer insecurity. This month I know it is real. As my article goes to print I am realizing that more people will be reading my work and my anxiety goes up. This may seem a bit crazy since I write a few blog posts each week and have been for over six months. I’m not sure I can describe the difference, but there is one. I think the difference comes down to the fact that I can frame this article. My words aren’t just out in the ether of the web but in black and white. I can hold them in my hand. I can also walk down the street and watch someone pick up a copy of the magazine and read my words. This is the one that will be a bit surreal to me. This is a whole different level of insecurity. I WANT a copy! ! ! ! Love you and VERY proud of you! I can’t really explain the difference, I just know its there. Thanks for visiting. YAY! That’s so exciting. Congratulations. Honestly, I think the best way to get past that is to just move on to something else. Celebrate that everyone will be reading your writing, but don’t dwell on the words they’ll be reading. Write new ones and try to get those out there! It is surreal knowing strangers will be reading what you wrote. As long as what you wrote was the best you can do, then no worries. You are right. I wish I didn’t worry so much. Thanks for stopping by. An the article was “just right”-to quote a dear friend, Goldilocks. A right good fit!